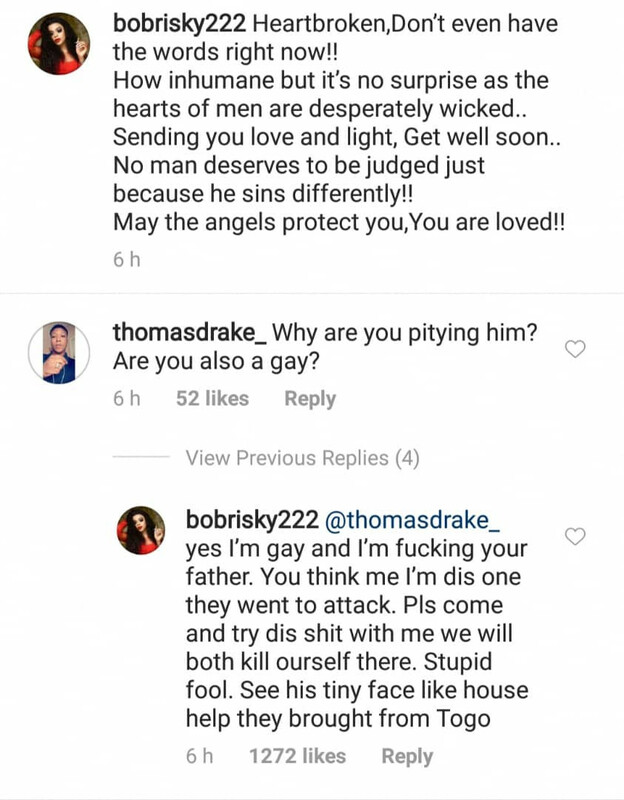 Nigerian popular man converter Bobrisky has via a chat and reply section on his social media page reacted to the homophones attack on Empire star, Jossie Smollett. 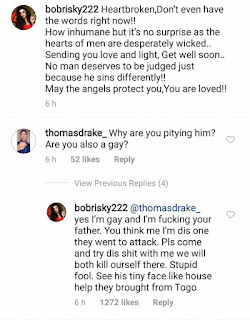 Bobrisky went ahead to sound a stiff warning that if anyone tries what happened to Jossie Smollett with him, that they will both die on the spot of the attack. He said this after a fan asked him if he was gay for showing solidarity to Jussie. See his exchange below..